When your family begins researching how to pay for college, two terms stand out as the best possible kind of financial aid: scholarships and grants. Unlike loans, scholarships and grants provide students with funding for college that doesn’t need to be paid back. Since they provide free money, they’re grouped together under the term “gift aid.” And, while you’ve already spent plenty of time in your kids’ lives seeking out perfect holiday and birthday gifts, the search for college gift aid is the most important one yet. We’ve covered the ways you can help your son or daughter find and apply for scholarships; today, we take a look at the other half of the gift aid equation. While grants and scholarships are similar in many ways, there are a few important distinctions to keep in mind as you and your family seek out grants for college. The major difference between scholarships and grants is this: financial need is the primary factor considered by most grant programs. While some scholarships take your family’s financial situation into account, many more are awarded strictly on academic, extracurricular or community-service merit. Grant funds, on the other hand, are nearly always focused on students who demonstrate financial need—and that starts with the most well-known grant of all, the Federal Pell Grant. The current maximum Pell Grant is worth $5,775. The amount your son or daughter receives may be less than that, depending on your financial situation and the cost of their school. The good news: if they are Pell Grant-eligible, the grant amount is not affected by any other financial aid they receive. The FAFSA uses a number called “Expected Family Contribution” (EFC) to determine how much financial need a student has. 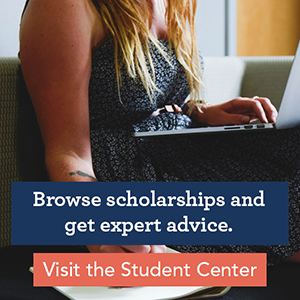 For Pell Grant students with the lowest EFCs, the Federal Supplemental Educational Opportunity Grant (FSEOG) provides another grant option, up to $4,000 per year. Unlike the basic Pell Grant, which is awarded directly to the student, FSEOG funds are awarded to participating colleges. The colleges then disburse the funds to eligible undergraduates on a first-come, first-served basis. That means there are two things you and your student will need to do, if you think you may be eligible. First, check with their school’s financial aid office to find out if FSEOGs are offered. Second, and most important, fill out and send in your FAFSA as soon as possible after January 1! Once the school’s FSEOG funds are gone, they’re gone, and a late FAFSA submission could cost your kid. These are the major grants provided by the federal government, but they’re not the only ones out there. (Especially if you, your spouse or your child have served in the Armed Forces.) Your family can also look for college grants at the state level. Wherever you live, and wherever your son or daughter attends school, state higher education grants may be able to help. One of the best-known is California’s CalGrants program, which provides generous grant packages for students in a variety of financial situations. As with the Pell Grant and the FSEOG, filling out the FAFSA early is the most important step, and your student may be required to submit a transcript, GPA or other documentation as well. Finally, your son or daughter’s college is likely to provide institutional grants to students—most based on financial need, and some also taking school performance into account. Their financial aid office will again be the best source of information for their specific situation. Make sure their advisor knows their major and minor, and any other unique financial circumstances that might come into play. And, last but not least, make sure to check if their school requires the CSS/PROFILE. This document from the College Board is similar to the FAFSA; it is not necessary for federal or state grants, but many institutions ask students to file it in order to be considered for institutional grant aid. In the flurry of documents and deadlines, things like this are easy for a busy student to overlook. But as an informed parent, you can help ensure that they don’t miss any opportunities for gift aid!